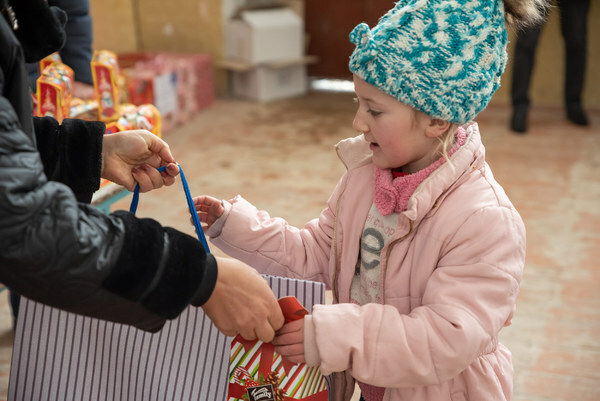 Within the framework of the traditional "Become Santa Claus" project implemented by Converse Bank, yesterday, on December 26, the Bank’s employees visited two settlements in Vardenis region and presented New Year gifts to school children who had requested those gifts in their letters to Santa Claus. A total of 79 school children have turned beneficiaries of "Become Santa Claus" project this year. "Visiting children just before the New Year holidays is a pleasant tradition, which we look forward to all year round. "Become Santa Claus" already has a history of 8 years and is one of Converse Bank’s most important corporate social responsibility projects. Since 2011, Converse Bank, together with its customers and employees, has been the Santa Claus for about 800 children living in remote and borderline villages of Tavush, Lori, Shirak and Syunik regions, fulfilling their New Year wishes and making a small holiday for them", - they said in Converse Bank, thanking customers and employees for active participation in the project, for their caring and loving attitude, and the warmth they show for children.